Work for Google Cloud Dataflow? Learning about Google Cloud Dataflow? "Excellent software to simplify many operations"
I like it because you can do many important things like simplify operations, also manage, transform data in a very special way. Also, you have a variety of how to implement each tool in this software. The credit that they give to be employed in Google Cloud is good because we learn even more how to handle this tool that for all of us who use it is essential. That they use it, it is good for this type of cases like storage, simplify and manage data, etc. GCP docs sometimes miss information on the interactions between components, e.g. preemptible instances, autoscaling, rolling updates, and the HTTP load balancer. Sometimes the docs will give you one sentence, and leave you to figure out all of the implications. AWS docs can be overly verbose, but they are usually quite good at documenting integration with other features and services. GCP has quite a different product philosophy to AWS. When new GCP features and resources are released into general availability, they are usually very high quality. This is in contrast to AWS where it can sometimes feel like you are the first person to use a feature. A quote I have seen which rings true to me is “Google’s Beta is like AWS’s GA”. GCP also has done well with integrating their different services together. 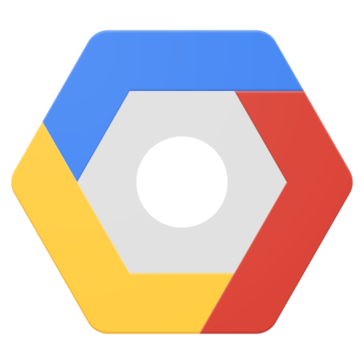 GCP provides a smaller set of core primitives that are global and work well for lots of use cases. Pub/Sub is probably the best example I have for this. In AWS you have SQS, SNS, Amazon MQ, Kinesis Data Streams, Kinesis Data Firehose, DynamoDB Streams, and maybe another queueing service by the time you read this post. GCP has Pub/Sub. Pub/Sub seems flexible enough to replace most (all?) of AWS’ various queues. (Disclaimer, I haven’t used Pub/Sub yet, just looked at its documentation). With Dataflow, I can, with the touch of a button, turn on hundreds of computers working in concert to make a task that would have taken me hours on my laptop run in minutes. I do this with virtually zero understanding of the underlying technology - all I know is that if I write my transforms like so, then it works. As long as my task is amenable to the parallelization process, the only thing I have to do to go from thousands of records to billions of records is change how many workers I decide to use. "Overall a good program, could work with custom services though"
Google Cloud Dataflow has a great support system built into it. Whenever you are in doubt, there always seems to be someone there to help. The system works very quickly and can handle large amounts of data/documents. Google has always been my go-to search engine and so I went with the Cloud Dataflow expecting nothing short of the best. However, at times sharing data with other systems has proven to be an issue. I've realized that a lot of the space is used up on unnecessary things, other programs might be better at the use of space, although this is definitely up to interpretation for each individual program. I am saving a lot of time with this system as it streamlines many processes. Running Apache Beam jobs is a benefit with the system. The question should instead be, "What do I not like best?" The answer is simply nothing. I thoroughly enjoy using all the features of this software and have found that even its basic features are capable of making your work like so much more organized. Not only is it easy for upper level management to learn the software, they have made it fairly simple enough to train employees with minimal error. There are no aspects of this software system that I dislike. I recommend staying with the product and learning all that you can about the different features and ways to integrate them into your company. Exporting internal memory to an external drive that can be accessed from locations other than the main unit. I would like to cloud dataflow having its own api that could be hit either from a 3rd party app or Google Cloud Functions. If those abilities are already available then, they should be better documented. If you need to transfer data in your technical architecture its easier then you think. The analytics are top notch for anyone in logistics and I can see how this would be helpful in other realms that require systems on a large scale. It can be tough to start learning about the process of using google cloud. It learns as you go so it can take a while to get stsrted, but well wprth the wait. We were solving organization and keeping consistency among the various locations and branches within my company. Cloud based services makes it easy to have a centralized location. It’s not complex and it’s actually very easy to use. It’s much more simple than other software programs that I have used in the past. Sometimes while being ran, it can run a wee bit slow but it’s safe to blame that on the systems WiFi for now. I use this daily in conjunction with a Stackdriver which has made my workload so much lighter paired together. Gives you a plethora of different windows that you can easily navigate. This product is a bit better than its competitors. Having the Google company in the background of this product truly makes it work for my needs. The operational support they provide is unparalleled. Thete’s not much to dislike. A little buggy at times, but always room for improvement in any product. With Dataflow, I can very easily flip Many computers working in unison to make a task, that would have taken me a huge chunk of time on my desktop, run in minutes. "Machine Learning via using Google Cloud Platform"
Google Cloud is the best among other competitors in the market, however, it's not quick. Its the best and future of the technology. We are working on multiple platforms like, Blockchain, Machine Learning and Data Science and we are developing our own platform for Real State industry. It's hyper-scalable platform to do ETL for my workflow and easy to use. It's takes time to spin up virtual machines for Google Dataflow. A pipeline tool for my machine learning ETL. "Working on google clouds provide the best managing and easy to implement." There are various range of solution is present for every cases we need. Various web ui and application design makes project work very good. Prices for this also low which makes us to continue to use them. We also done various projects live and maintenance works very well. There are various limits for things which attachment and description s and some time found difficult to send the thing. Live projects sharing and maintenance helps. "DataFlow makes pipelines easy to understand and digest"
I wish Python SDK was more fully featured. Documentation is also low and does not reflect the full capabilities of DataFlow. Documentation can be on the lower side at times but it's a very powerful tool still. We use DataFlow for ETLs. DataFlow is predictable. "Experiment and lab of Google Cloud Dataflow"
Ability to scale at function level. Cost metrics. Cloud Dataflow is very easy to manage service in real time don't have to worry about complicated solutions to do what I need. This is a great software as it allows my data to such across many devices. I don't like when files get deleted and it is hard to recover them. I am able to synch hundreds of files quickly. I use it for research for this reason and it is great for data storage. It also saves storage on my device. "What Google doesn't tell you about Cloud Dataflow"
Clearly, the best feature is the ability to process batch and stream jobs without changing my code. I've built a real time email analytics product and without Dataflow, this would not have been possible. "Google Dataflow leverages batch and realtime ETLS"
Love the topology graph of the steps running within Dataflow and actual vs run time to improve performance on our Dataflow Job. Not much I didn’t like about it. Connectivity was bad sometimes? I live that is it fast and that it is easy for a lot of people to use. I do not like that the Dataflow is limited. Also lacks REPL support. The ability to analyze large data. It is cost-effective. The ease of sharing with locations across the country. Not all my GMs understand the concept. Some of them do not understand the concept behind the data flow. Easy to update mgrs, allows for timelier updates. Not always the most intuitive design, but still workable! * We monitor all Google Cloud Dataflow reviews to prevent fraudulent reviews and keep review quality high. We do not post reviews by company employees or direct competitors. Validated reviews require the user to submit a screenshot of the product containing their user ID, in order to verify a user is an actual user of the product. Hi there! Are you looking to implement a solution like Google Cloud Dataflow?